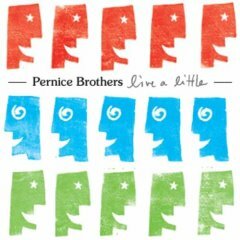 I’ve listened to the Pernice Brothers on various music services like last.fm, The Hype Machine, Paradise Radio, etc. And I’ve always enjoyed their sound. But we don’t own any of their records. That changed this week when we got a copy of their new release, Live A Little. And it’s a big hit in our house. The Gotham Gal gave it four spins today alone!